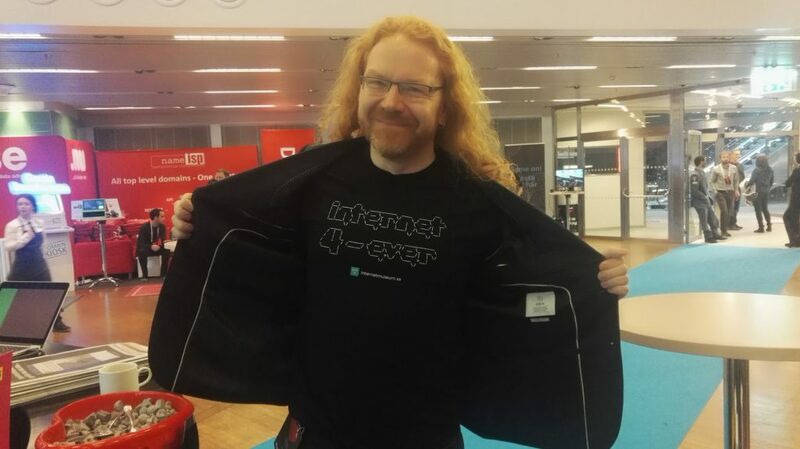 I just got back from the Internet Days conference in Stockholm, Sweden. I was flattered when I was asked to speak at this prestigious event, but I had no idea until I arrived just how much fun it would be. 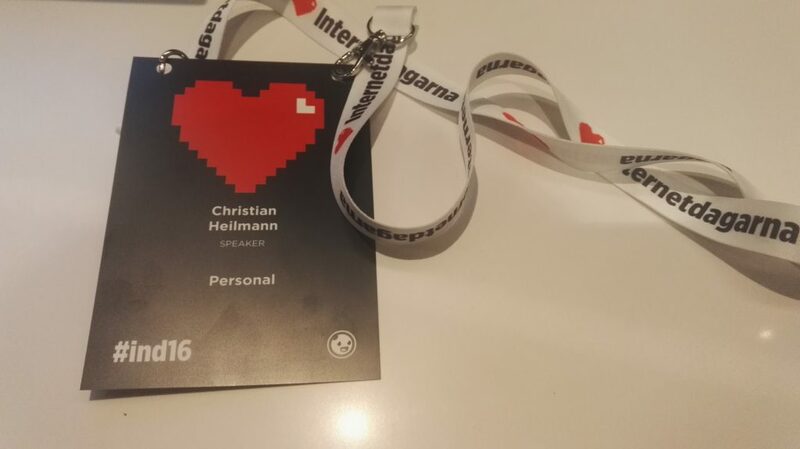 I loved the branding of he conference as it was all about pixels and love. Things we now need more of – the latter more than the former. As a presenter, I felt incredibly pampered. I had a driver pick me up at the airport (which I didn’t know, so I took the train) and I was put up in the pretty amazing Waterfront hotel connected to the convention centre of the conference. This was the first time I heard about the internet days and for those who haven’t either, I can only recommend it. 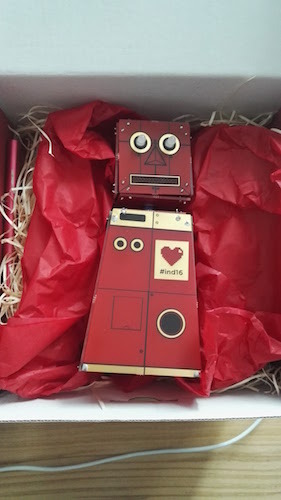 Imagine a mixture of a deep technical conference on all matters internet – connectivity, technologies and programming – mixed with a TED event on current political matters. The technology setup was breathtaking. The stage tech was flawless and all the talks were streamed and live edited (mixed with slides). Thus they became available on YouTube about an hour after you delivered them. Wonderful work, and very rewarding as a presenter. Juliana Rotich of BRCK and Ushahidi fame talked about connectivity for the world and how this is far from being a normal thing. Erika Baker gave a heartfelt talk about how she doesn’t feel safe about anything that is happening in the web world right now and how we need to stop seeing each other as accounts but care more about us as people. The big bang to end the first day of the conference was of course the live skype interview with Edward Snowden. In the one hour interview he covered a lot of truths about security, privacy and surveillance and he had many calls to action anyone of us can do now. What I liked most about him was how humble he was. His whole presentation was about how it doesn’t matter what will happen to him, how it is important to remember the others that went down with him, and how he wishes for us to use the information we have now to make sure our future is not one of silence and fear. In addition to my keynote I also took part in a panel discussion on how to inspire creativity. The whole conference was about activism of sorts. I had lots of conversations with privacy experts of all levels: developers, network engineers, journalists and lawyers. 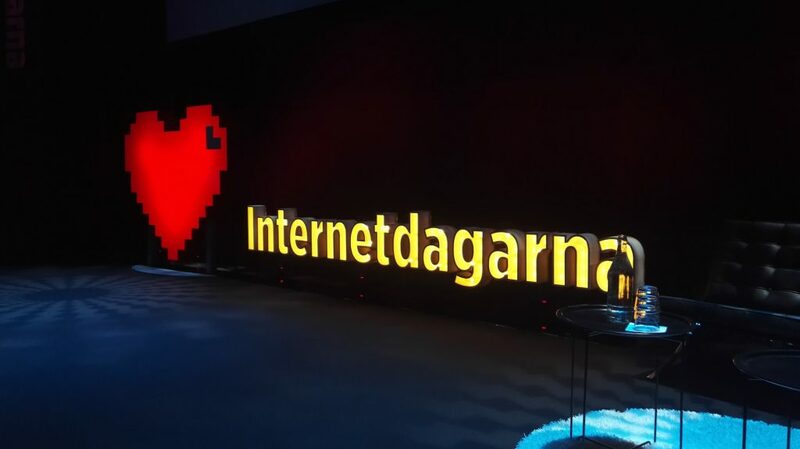 The only thing that is a bit of an issue is that most talks outside the keynotes were in Swedish, but having lots of people to chat with about important issues made up for this. The speaker present was a certificate that all the CO2 our travel created was off-set by the conference and an Arduino-powered robot used to teach kids. In general, the conference was about preservation and donating to good courses. There was a place where you can touch your conference pass and coins will fall into a hat describing that your check-in just meant that the organisers donated a Euro to doctors without frontiers. The catering was stunning and with the omission of meat CO2 friendly. 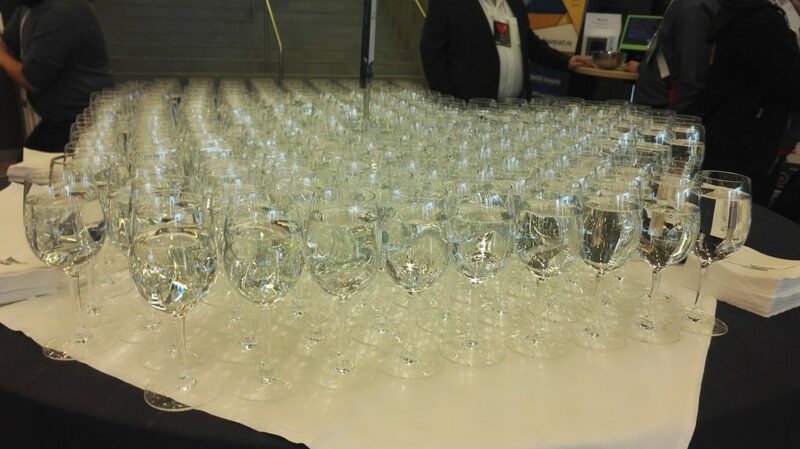 Instead of giving out water bottles the drinks were glasses of water, which in Stockholm is in some cases better quality than bottled water. I am humbled and happy that I could play my part in this great event. It gave me hope that the web isn’t just run over by trolls, privileged complainers and people who don’t care if this great gift of information exchange is being taken from us bit by bit. Make sure to check out all the talks, it is really worth your time. Thank you to everyone involved in this wonderful event!